Long life printheads with 2,000,000 linear inches warranty. 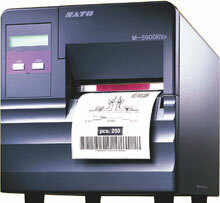 M-5900RVe, Industrial Direct thermal Printer, 203 dpi, maximum print width 4.4", Interface options: serial, 18MB RAM. Includes US power cord. See accessories for cables as they are sold separately. Thermal Labels, 4" x 2" Direct thermal paper label. 1500 labels/roll, 4 roll case. 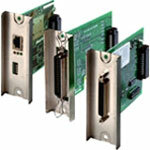 Also available as a roll (Part# 56S002012-R). Thermal Labels, 3" x 2" Direct thermal paper label. 1500 labels/roll, 4 roll case. The <<$mfg->name>> M-5900RVe printer produces high-quality labels while offering significantly lower operating costs compared to standard thermal transfer printing. The M5900RVe direct thermal printer produces high-quality labels while offering significantly lower operating costs compared to standard thermal transfer printing.